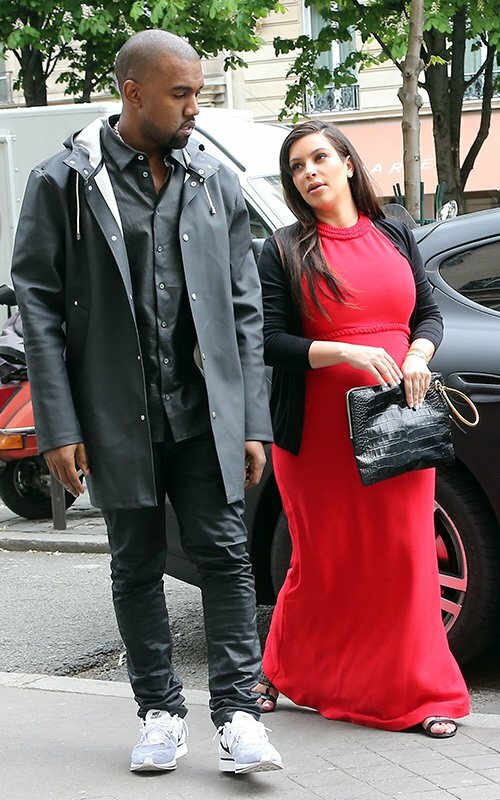 Kim Kardashian and his baby daddy Kanye West The couple stopped goto some shopping aging in City of Love in Paris, France, 30 April 2013. 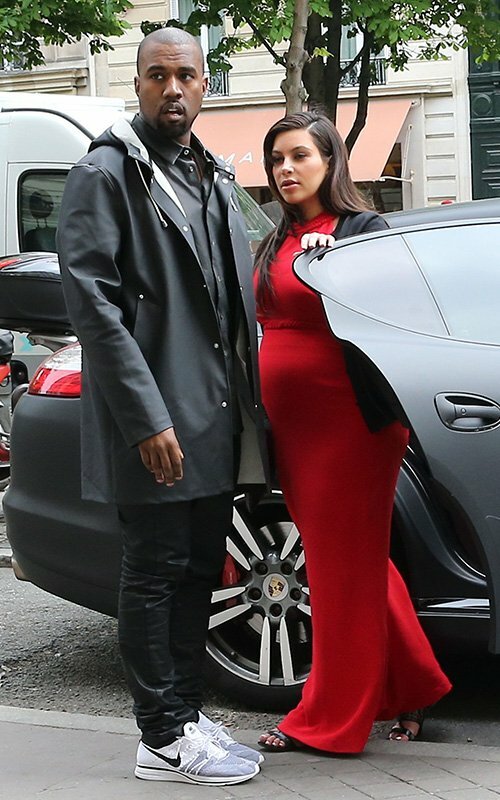 Baby mama' Kim Kardashian, Kanye West stopped by stores such as Givenchy, Ferragamo, Hermes, Celine and Lanvin. 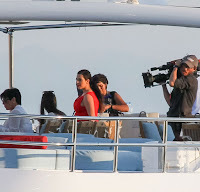 Kim's looking gorgeous in Red scarlet maxi dress and pair of Azzedine Alaia Sandals. 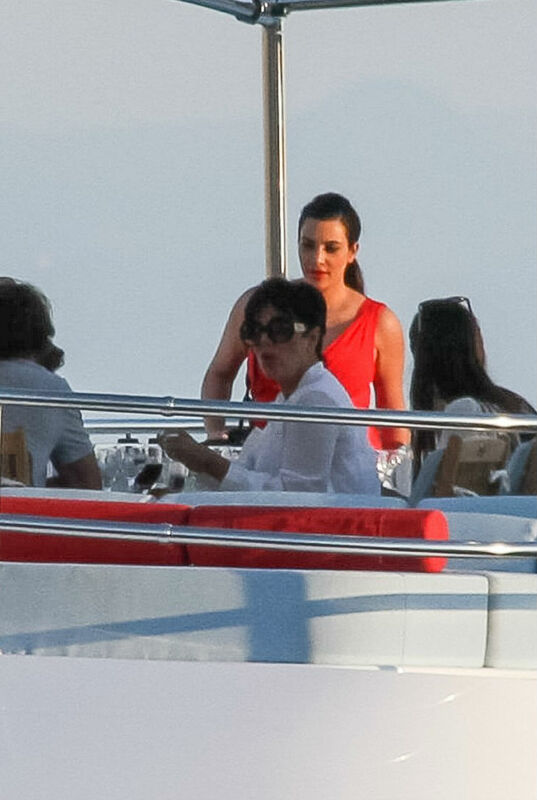 The Kardashian family luxury holiday trip in Greece, including Kim Kardashian styles bright red sundress with white cardigan outfits, red lipstick and flat sandals, Kardashian family Boat Ride enjoy and Dinner on Greek on April 28, 2013. 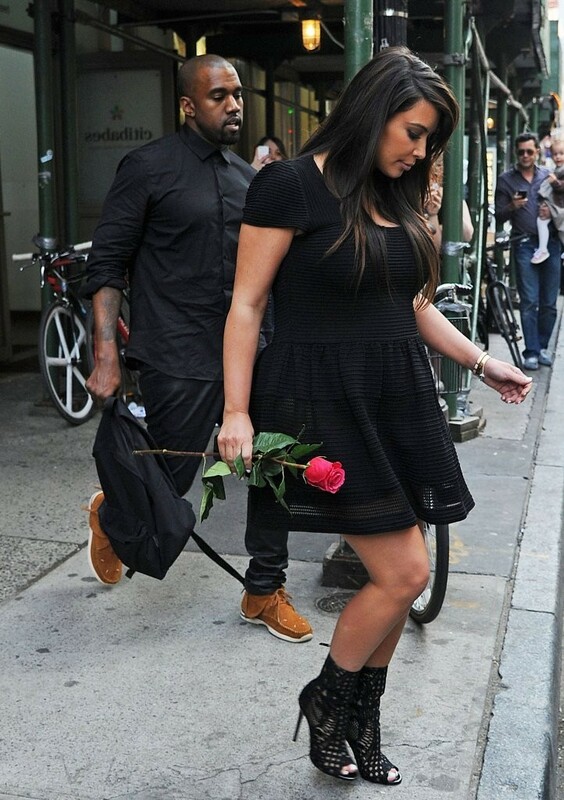 Pregnant Kim Kardashian receives a red rose on boyfriend Kanye west as she holds hands a headed out NYC on Tuesday, April 24 in New York City. 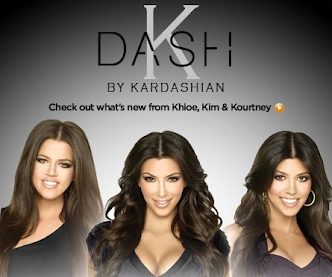 Kim Kardashian attends Upfront at the E! The Grand Ballroom 2013 at Manhattan Center on April 22, 2013 in New York City. Kim wearing here long-sleeved short black dress and black high heels. 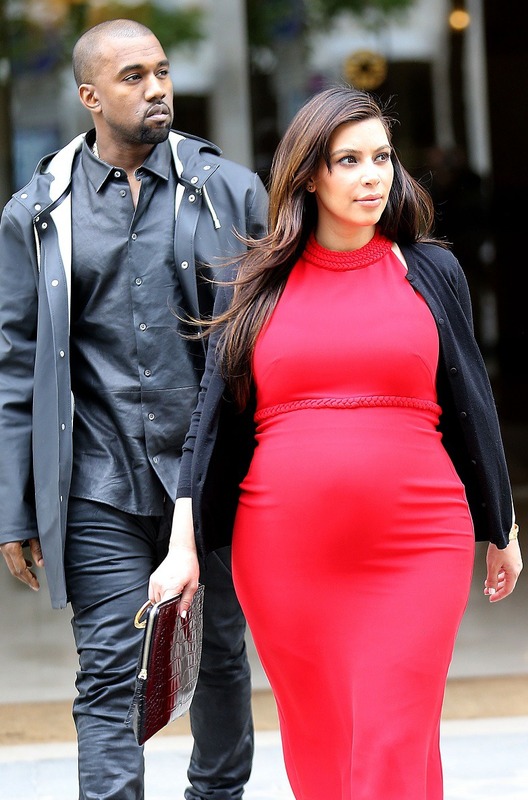 Pregnant Kim Kardashian in Belly Shirt lace top with some friends heading out for lunch date at La Scala in Beverly Hills, CA on Thursday April 18, 2013.